Fishing Holidays or Family Holidays, or a bit of either? Then check out the Holiday Cottages or Static Caravans here at Nineoaks for a really memorable Family or Fishing Holiday in West Wales. Situated 2 miles from the Coast in a naturally beautiful and peaceful location. You will find that all of the accommodation is immaculate, well presented and spotlessly clean. There and no signs of damp, cobwebs, musty smells or dirt here! Just quality Holiday Cottages and Static Caravans? They are all close to or overlooking the 6 lakes. Ideal for the non-ambulant or disabled angler (not wheelchair). Just perfect for a Fishing Holiday, and great place for a quiet Family Holiday or those wanting a combined Fishing AND Family Holiday. Mid-week or Weekend Breaks also available. In a tranquil location just a few minutes from some lovely sandy beaches and the crystal clear Sea. For more details Click here or see below, or one of the Holiday Menu items for further information. Feeling adventurous? Please check out our new web site that can be found here. It is still under development and not yet suitable for mobile phones == OBH!!! just knocked out menu system !!! 26/11/15] Do let us have your feedback, good, bad or ugly, or whatever - thank you. "Old Ghost" Baits, Fishing Sausage, Paste powders and method mixes now in stock. The only stockist in South West Wales. In the run-up to Christmas it can be a positive brain-ache. Someone deserves a present and you haven't a clue what to give them. Our gift certificates make the best gifts if you are not...quite...sure. Fun to receive, they're fun (again) to spend and the Fishing or Tackle they buy bring pleasure year after year. A Nineoaks gift voucher reminds people you care for - long after they've spent it. Available in any amount (you decide), we make the free gift cards to order, and post them for you for a small P&P fee. Of course, you might like one yourself, and we can only suggest that you print out this post and leave it where people can't possibly miss it? 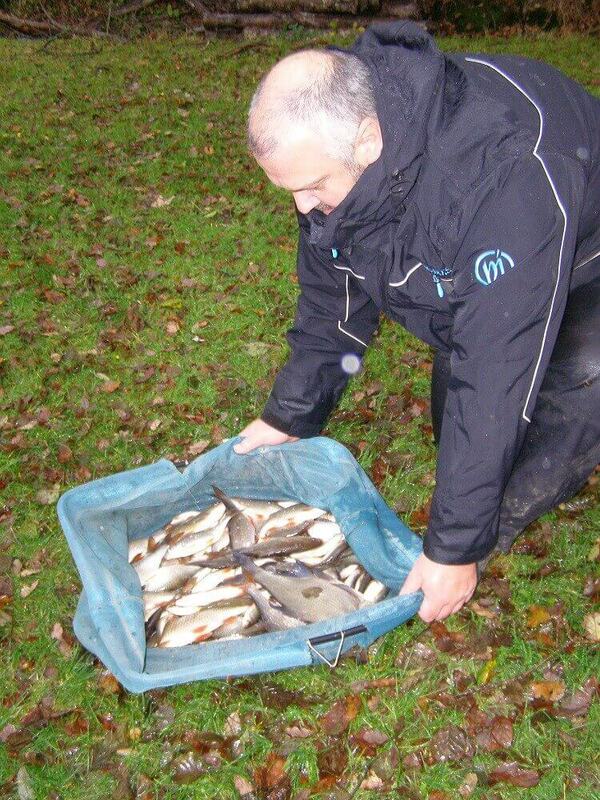 Next match Sunday December 20th, Ceredigion Coarse Angler's Winter Match. Sign in for 9am prompt, fishing 10am till 3pm. The Main Lake will be closed for this match, our other Lakes are fishing well do give them a try. 6th December: Well done to Andrew Kirtley on winning round 2 of the Gb Fishing Angling Centre Winter League and Open today with a nice mixed bag of Roach Barbel and Carp for a total 52lb 5oz 2nd was Shaun Bethell with 39lb 7oz of Carp and Roach and 3rd was Carl Worrall with 39lb 5oz. [note: 20lb 7oz of his catch was roach!] Well done to everyone who fished. 25th November: Carl Worrall from Aberystwyth, had a few hours spare today so he came here and fished in the house pool. Bait was a pint of casters. He setup on the left side of the lake, to get a bit of tree cover as it was raining and very windy and not the best day for fishing. He knows that the pool is full of carp, tench, bream, cracking roach with some chub and barbel; but he wanted to have some fun and targeted the Bream and Roach. Fishing the pole at about 4 or 5 meters with a KC silver float to 0.13 line and hook length of 0.11 with a size 20 B911 F1 hook. First drop a carp of 3lb then another to 2lb then a good run of quality roach with the odd skimmer. He kept drip-feeding casters and after a couple of hours ran out-of bait. He thought that the fishing was fantastic with some quality roach to 1lb, some nice skimmers and a few carp. The best part about today was the winter ticket for the house pool costs just £5; which is fantastic value for money especially when you realise that this pool also has some big carp! Nine Oaks Angling center lies on the edge of the hamlet of Oakford ("Derwen Gam" in Welsh) which is roughly 2 miles inland from the Cardigan Bay coast in Ceredigion, West Wales, and 20 miles south of Aberystwyth. Ceredigion is one of the least populated counties in Wales, providing 60 miles of spectacular coastline with untouched beaches and miles of uncongested coastal footpaths. The counties main towns are Aberystwyth, Cardigan, Lampeter, and Aberaeron. Our location is perfect for touring Ceredigion, Carmarthenshire and Pembrokeshire. We have holiday cottages and static caravans and 3 Trout Pools and 3 Coarse Lakes. 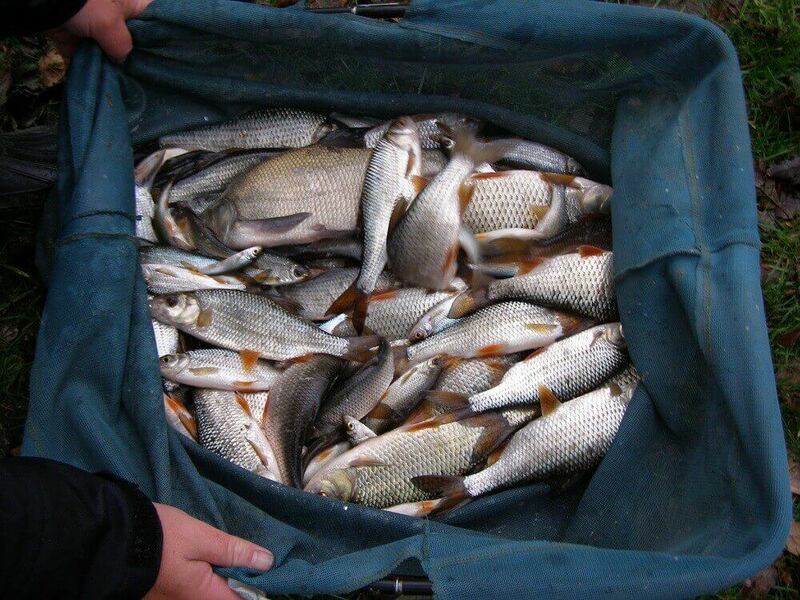 We provide excellent Trout and top-class general Coarse Fishing. The Trout Lakes contain mainly Rainbow and Blue Trout from 2lb plus small Brownies. The Coarse Lakes hold all varieties of Carp including Commons, Mirrors, Koi and Grass Carp up to 20lb+, Roach, Bream and skimmer Bream, Tench and small chub and small Barbel. Our holiday accommodation is spotlessly clean, fresh and consists of self-catering holiday cottages; Welsh Tourist Board graded at 4star standard, and quality Static Caravans. All are very close to the lakes and all are suitable for couples, for family holidays (with or without fishing) or specifically Fishing Holidays. The cottages are disabled friendly. About 4 miles away, in a south-westerly direction, is the lovely old fishing village of New Quay (Wales) with its crystal clear waters and beautiful sweeping, sandy bays. Also 4 miles away, northerly, is the busy coastal town of Aberaeron. With its myriad of colourful Victorian houses and shops. Cardigan is 20 miles south and Carmarthen roughly 30 miles away easterly inland.